JACKSON, Miss. 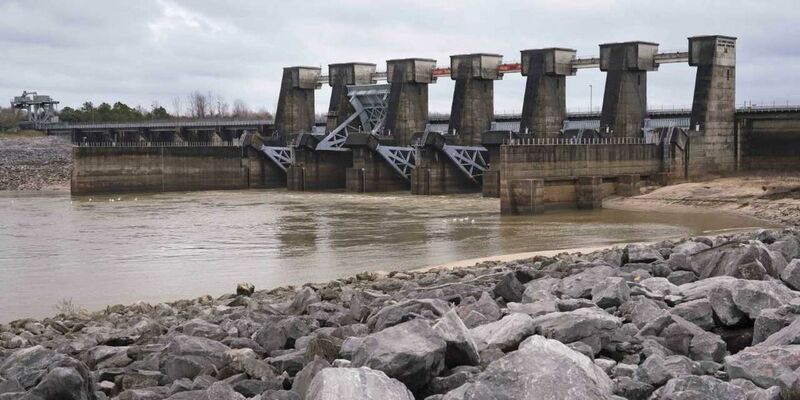 (AP) - The state of Mississippi is suing the federal government for at least $25 million, claiming a federal dam complex in Louisiana that keeps the Mississippi River from changing course is harming state land. The suit was filed Monday in the Court of Federal Claims by Mississippi officials on behalf of three school districts. The structure prevents the Mississippi River from shifting its course to the shorter Atchafalaya River in Louisiana. The lawsuit claims the dam causes flooding and dumps silt on public land in Mississippi that generates income for the school districts. Without the structure, the Mississippi River could shift course away from Baton Rouge and New Orleans. That could cut off the flow of river water altogether, meaning no fresh water for drinking, industrial use, or shipping.